Soft evening light on my very messy desk. After I turned my lamp off. Washington, D.C. — While working at my desk, I noticed soft evening sunlight creep into the room, illuminating my inspiration wall. I turned the lamp off, stopped working, and enjoyed the moment of unexpected light. 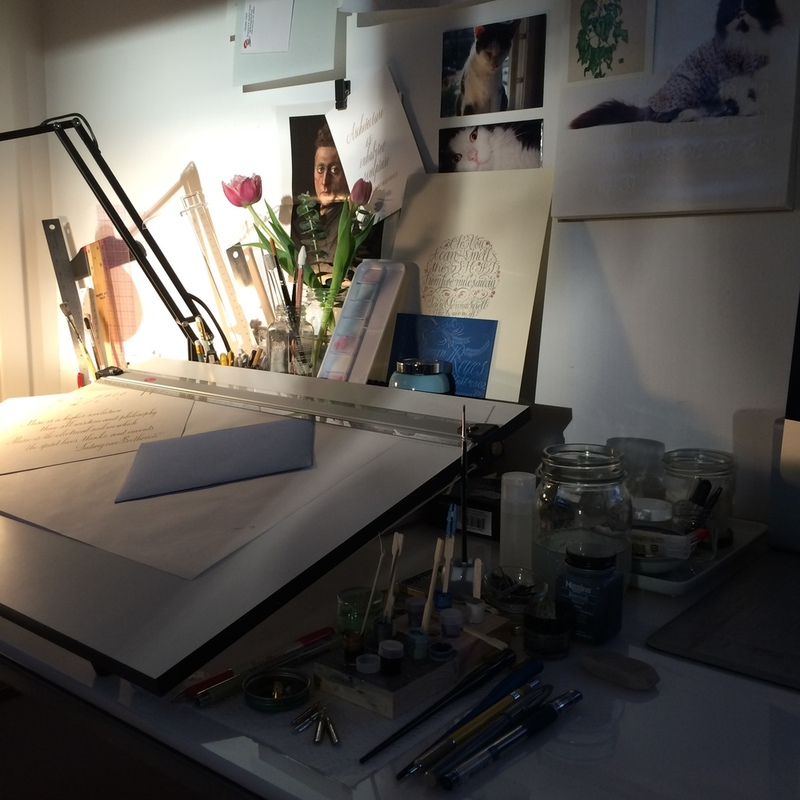 When the evening light passed, I turned the lamp back on and got back to work. N.B. One of the things on my wall is a tearsheet of a Spanish coal miner from a beautiful photo essay in the New York Times T Magazine. His features, especially the eyes, struck me as very Boticcellian. Washington, D.C. — Farewell to my old, cramped, and non-efficient work space! To be completely transformed early 2015, thanks to my very talented sister, Maria Reyes.